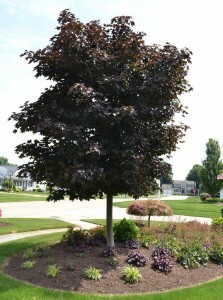 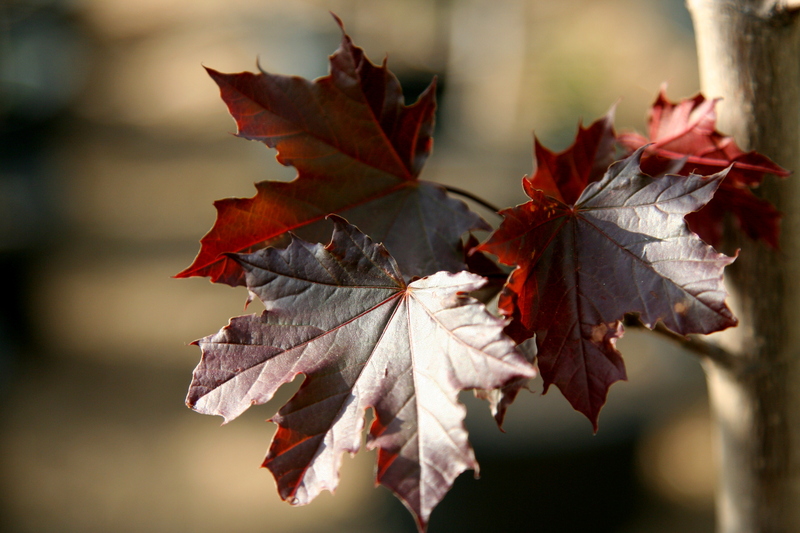 A slow growing maple that blooms dark red leaves in the spring and remains constant throughout the summer and fall. The Royal Red is the hardiest red leafed maple and makes for a nice accent tree which will bring colour to any landscape. 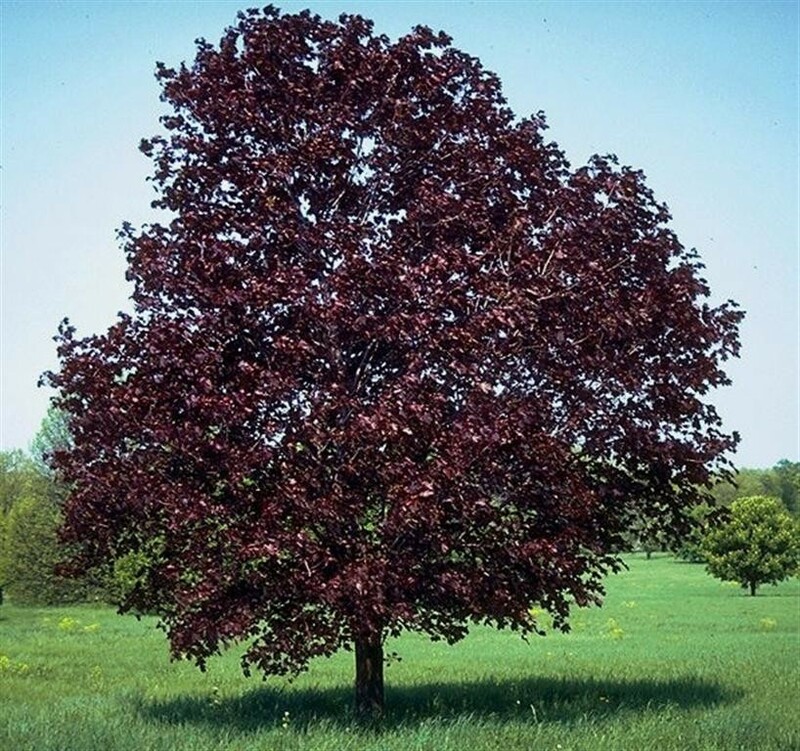 This tree should be grown in full sunlight with average to moist soil conditions. It is highly tolerant of urban pollution and works very well as a city tree. 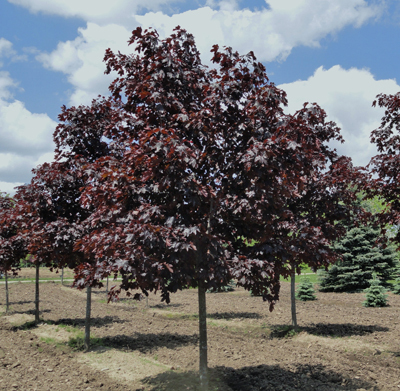 Royal Reds did not originate from North America, but can be expected to live up to 100+ years.